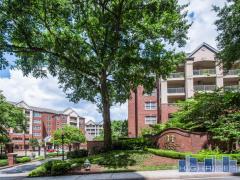 1421 Peachtree is ideally located in the Ansley Park section of Midtown near Piedmont Park. Apartments boast terraces, some with views of the Park and everyone can enjoy the building's rooftop terrace. Residents are within walking distance to the best bars, restaurants and shops. Have any comments or questions about 1421 Peachtree? Ask your question and/or share your thoughts about this Building.